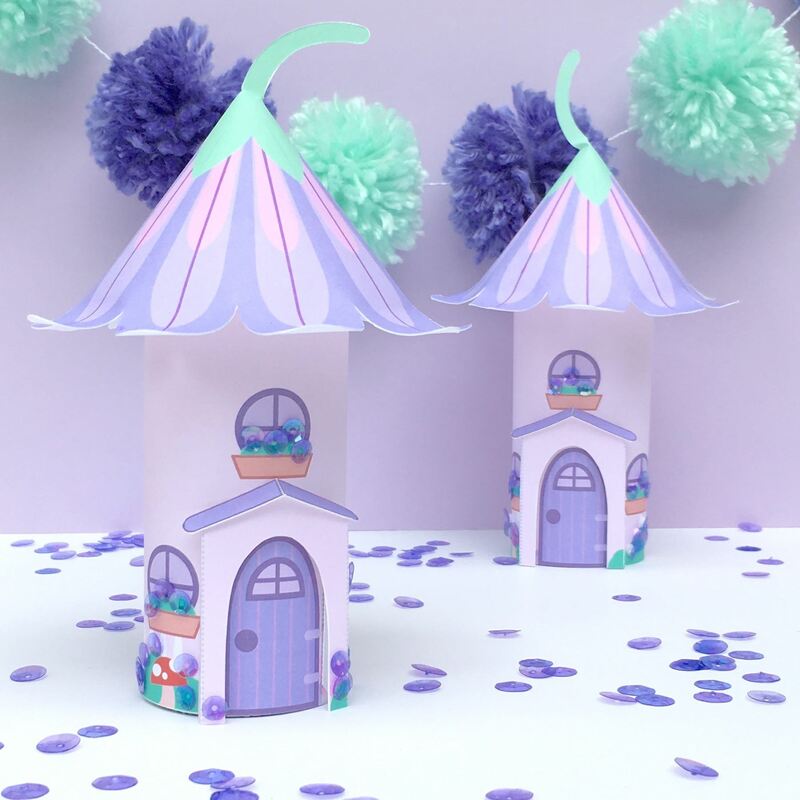 This fairy house would make a great addition to your fairy garden, use Aleene’s Tacky Glue to add your own sequins, gems or tissue paper to make lovely lavender flowers growing on and around your fairy houses. Step 1. Print out the free fairy house printable on white cardstock paper and cut out all of the pieces. Step 2. Score the lines on the doorway with a craft knife or you could use something like the tip of a popsicle stick to score the lines. Scoring helps to fold on the lines immensely! Step 3. Decorate the body of the house however you'd like, be creative, I used sequins as flowers. You could even color and draw on top of the printable. Step 4. Glue one end of the flower roof and overlap the petals to create a “cone”. Step 5. Wrap the body of the house around a toilet tube and secure with staples, glue on the roof. Step 6. Fold the doorway on the scored dotted lines and glue to the house, glue on the small doorway roof.